Oracle burst on the scene in 1979 with the Delphi turntable, and to many, set a new benchmark for analog playback. The Oracle also blazed a new trail for turntable aesthetics; its open suspended chassis and clear acrylic plinth dramatically contrasted with those of the then-voguish British tables. Linn and Rega owners were rather taken back by the new Canadian in the neighborhood. 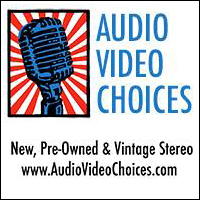 What’s more, the era’s audio magazines piled on the praise. 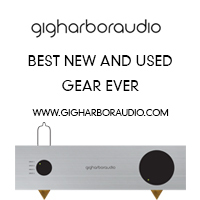 After dropping $2,000 and adding a tonearm, many listeners (including yours truly) found themselves in analog bliss. However, back then, two grand represented a ton of cash to spend on a turntable; my car wasn’t worth $2,000 in 1979. 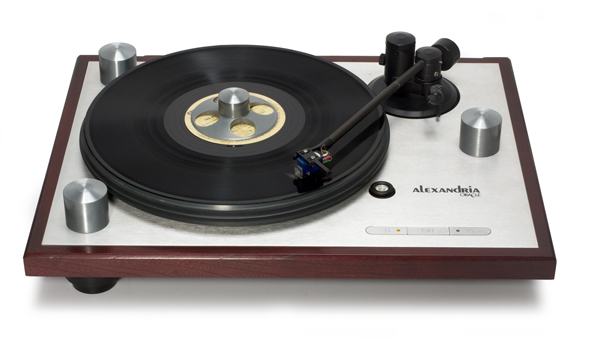 A couple years later, Oracle introduced the Alexandria, which was not only half the price ($995, including tonearm) but more conventional in appearance. The Premier tonearm included with the Oracle looks very similar to the Jelco arm of the day, and was simple to set up. It has a similar counterweight to that of the Rega RB300 but uses a nylon filament-mounted anti-skate weight and a VTA adjustment system not unlike that of the Triplanar tonearm. And the tonearm is terminated with a pair of RCA jacks on the rear of the turntable base, so you could use your choice of interconnects. Remember, this was long before tonearm cables boasted four-figure pricetags. Whereas the Delphi had a more sophisticated AC motor, the Alexandria uses a simpler mechanism. It does have one major advantage over its more expensive sibling, though. Speed adjustment is located on the front of the Alexandria and can be adjusted with your finger rather than via the tiny, ten-turn potentiometer adjustment found on the Delphi’s motor pod. Both tables share the sorbothane “Groove Isolator” semi-squishy turntable mat, yet the Alexandria’s platter isn’t as massive as that belonging to the Delphi. The former features a two-piece, subplatter/platter arrangement that looked very similar to the Linn LP-12. A suspended subchassis, just like the one in the Delphi, and equipped with three spring-loaded towers, is located underneath the conventional plinth. Upon further inspection, the spring arrangement looks just like that of the Delphi. However, Oracle’s tech department reveals that the Delphi springs are unique to that model and will not work in the Alexandria. Oracle produced four different variations on the Alexandria, making incremental improvements on each one, until the line culminated with the MK IV. These days on the used market, most Alexandrias tend to be earlier MK 1 and MK 2 versions since they were produced for the longest period of time. 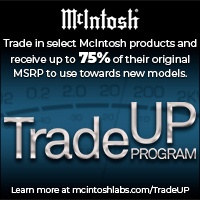 Clean examples of the MK 1 and MK 2 versions often range between $600 and $800. But be aware that the metal subchassis can often be cracked or damaged, and is usually a costly repair. Most tables also no longer have a functioning auto lift. Oracle has indicated that it can bring the older tables back to life, but shipping to Canada isn’t cheap. 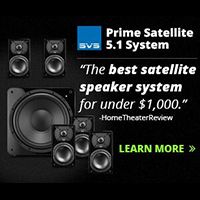 Plan on spending another $300 to $700 to get a substandard Alexandria back in shape. The one pictured here is an MK 1 and is actually number 53 produced! Oracle Director of Operations Jacques Riendeau f informed me that there should be 36 volts at the tip of the DC adaptor and that the potentiometer was somewhat of a weak link in the turntable. You’ll know if the potentiometer needs attention if the table will not hold stable speed. Chances are 50/50 that you will be able to spray contact cleaner inside and get it back in operation, but if not, send it to Oracle. If possible, find an Alexandria that comes with its original box. 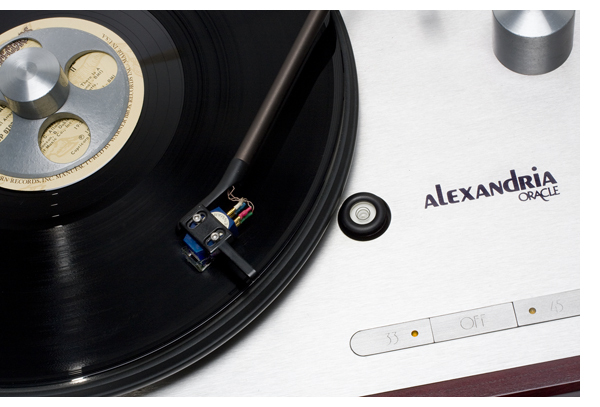 When properly set up, the Alexandria is still a formidable turntable. In keeping with the vintage ethos of this column, I mounted a blue NOS Ortofon MC20 moving coil cartridge and set it to track at the factory specification of 1.8 grams. If first played Little Feat’s Waiting For Columbus, the double album live set from Mobile Fidelity. To take listening a step further, I chose the pressing I bought in 1980 instead of the current remaster. There’s no mistaking this table for anything else. Having used an Oracle turntable sporadically since 1980 (Delphi, Delphi MK 2, Alexandria MK 1, and currently, a Delphi MK V) I’m familiar with the Oracle sound that tends to be fast and dynamic, with excellent dynamic contrast. The table’s suspension does a great job at isolating the platter from the environment and offering a quick, punchy low end. When comparing the sound of my Delphi V with the new Ortofon MC20 Super, I was impressed with how the Alexandria is capable of performing; it still does a great job with the musical fundamentals and provides a very liquid, analog experience. Where a similarly vintage Linn LP12 seems slow and pondersome by comparison, the Alexandria is lively, and doesn’t sacrifice the LP-12’s midrange magic. Arguments continue about which model is superior, but I could live happily ever after with the Alexandria. If you can find a well-preserved example of the Alexandria, it’s tough to beat for the money, even if the auto lift does not work properly. If you choose to abandon the standard factory arm, there are boards available for SME arms as well. 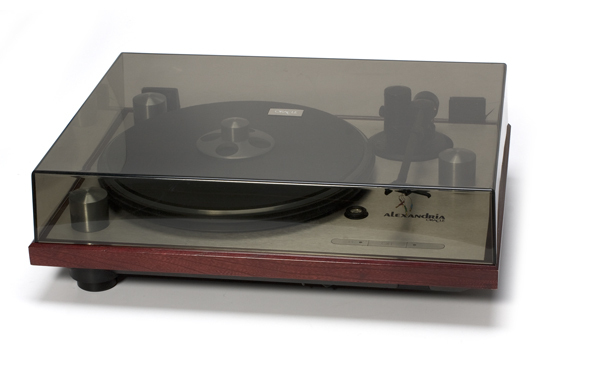 A used 309 or perhaps even a 3009 could be an excellent choice for this table with the right cartridge. Just be sure to adjust the suspension accordingly.